​Cruisen Chucky is home with Ron and Sissy in Monroe. This family was GAGC's FIRST adoption 15 years ago. 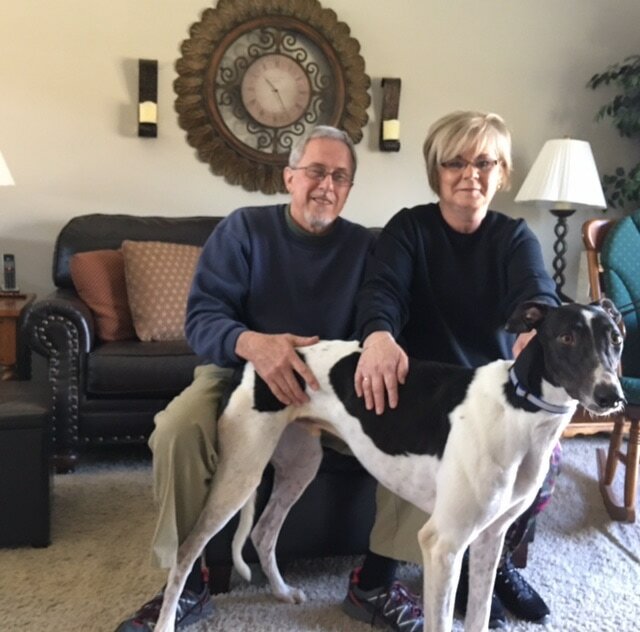 Chucky is their 8th GAGC adoption, so that tells you what a greyt family this is. They have always been supportive and helpful over the years. We hope to see them active at events again now that they have adopted Chucky, he is a very lucky boy!